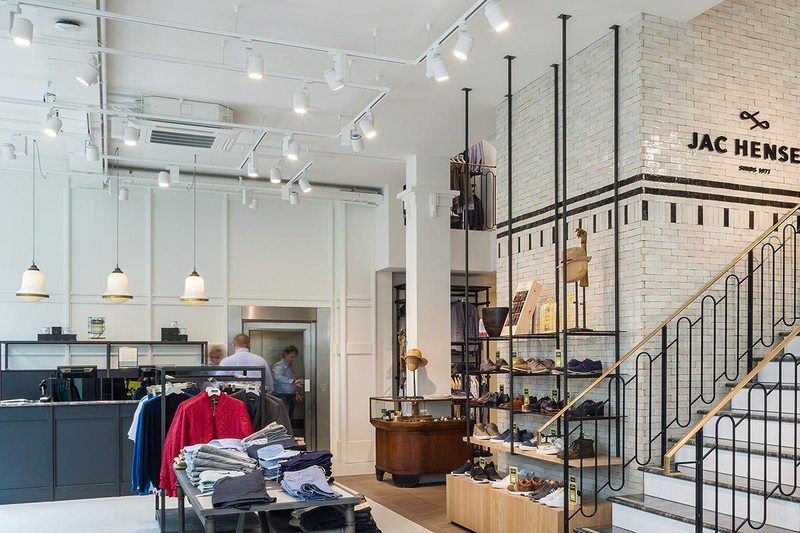 One of the largest fashion retailers in the Netherlands, Jac Hensen, opened their brand new shop in the Zuid-Holland city of Dordrecht (the Netherlands) on March the 1st this year. Once again Keylight, in collaboration with Binnenbrand and Powerlight, was asked to compose a unique and distinctive lighting concept for this new fashion store. Jac Hensen is a true family business and has since become a major player in the fashion world in the Netherlands. 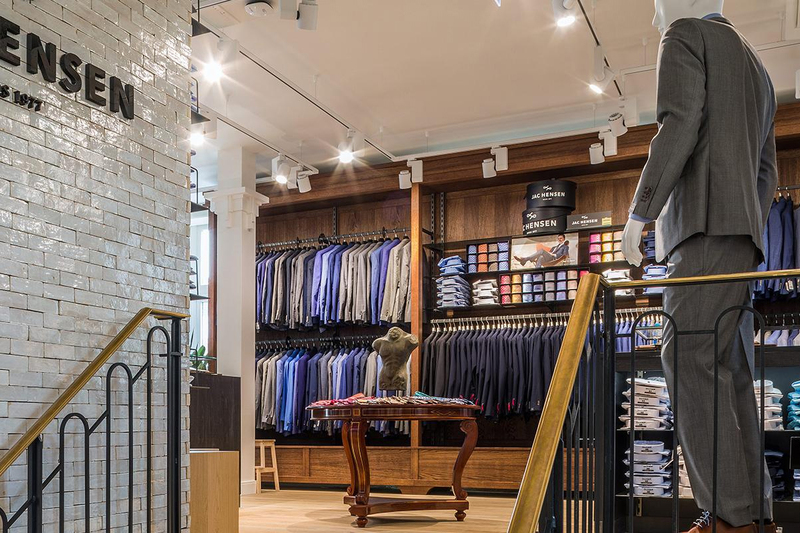 This is evident from the fact that they recently won 3 prestigious awards: ABN AMRO Best retail chain in the Netherlands in the category menswear 2016 – 2017, ABN AMRO Best webshop in the Netherlands in the category menswear 2016 – 2017 and subsequently the Cross-Channel award 2016 – 2017. Last year we were asked to create a lighting plan for Hensen’s flagship store in Amersfoort. This year we were once again asked to develop a lighting concept for a new store to be opened in Dordrecht. 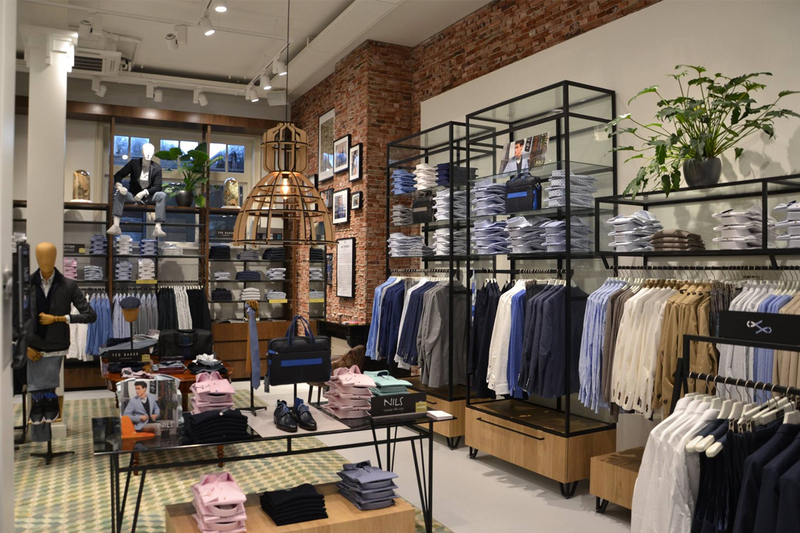 The region Zuid-Holland is home to a large online and offline clientele of Jac Hensen and it is therefore not surprising that they chose this location to open a new store. The entire shop is equipped with 3-phase rail spot Ledimo 10 as primary lighting. We specifically chose suspended rails because the building has been restored to its former glory. There are high ceilings and in order to highlight the clothing properly we have chosen a suspended rail system.